Although Oakland and Woodland are two distinct downtown Phoenix neighborhoods, we paired them together for several good reasons: they are adjacent to one another, they have the neighboring Arizona State Capitol and “government mall” area of Phoenix in common, and they share homes of about the same age and style. If you like one, chances are that you may like the other too. The 1920s Bungalow– usually brick, with a broad shady porch in front and wood floors inside—is the typical house style in both Oakland and Woodland neighborhoods. Simple in design and generally modest in size, these homes were built when craftsmanship was still a standard practice. Homes generally range from 800 to 1200 square feet, with 2 (or sometimes 3) bedrooms. If you work at one of the state or federal buildings along Washington Street, a home in Oakland or Woodland is an easy walk away. Woodland, on the south side of Van Buren, puts you a few steps closer. And if you are a fan of the shops on Grand Avenue, those are a short walk to the east (a wee bit shorter from the Oakland neighborhood). Woodland Park, one of Phoenix’ earliest city parks, separates the residential Woodland neighborhood from the commercially-oriented Van Buren Street. Wesley Bolin Memorial Park is a few blocks south, just east of the capitol building. (The 9-11 memorial and other public art pieces make for an interesting place to stroll.) The free Dash bus will get you all around downtown on weekdays and drop you at the light rail if you want to go farther afield without ever using your car. There are still fixer-uppers to be found in both the Oakland and Woodland historic districts, part of the reason that these historic neighborhoods are still two of the most affordable in Phoenix. The second reason might be the size of the homes, many of which are modest by modern standards. 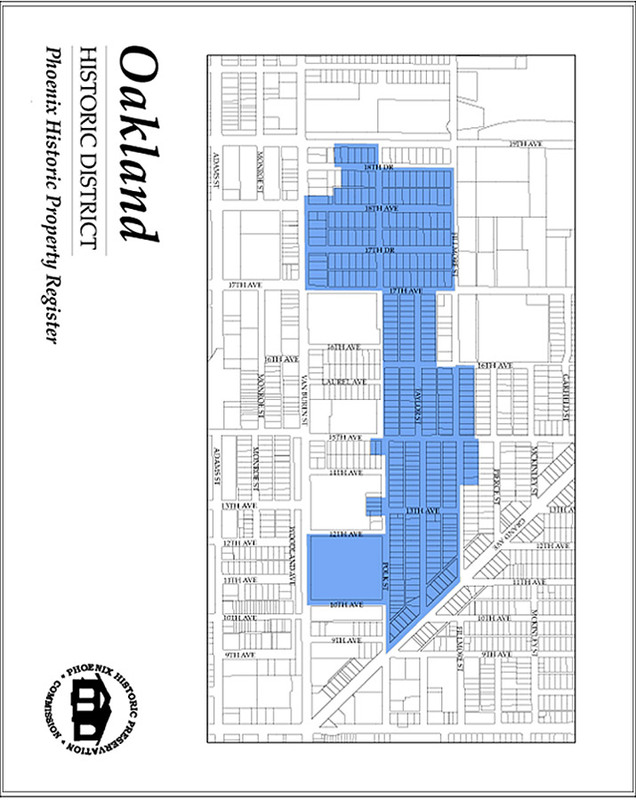 If you like the Bungalow style of Oakland and Woodland, you may also like the Coronado Historic District. If you like the proximity to downtown amenities but really need a larger home, look to Roosevelt or FQ Story for roomier Bungalows and Period Revivals.